First login using user id and password in weboc, so after logging following screen show up. 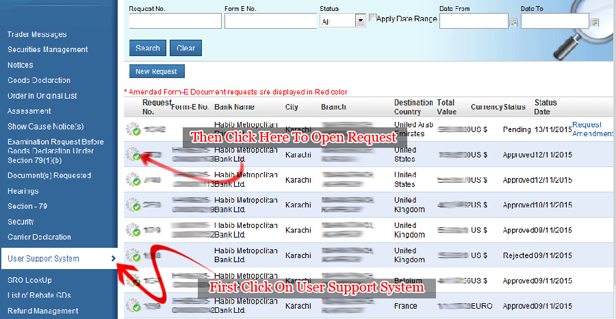 First of all, click on the user support system as indicating in the image below. Then, Select and open the request. 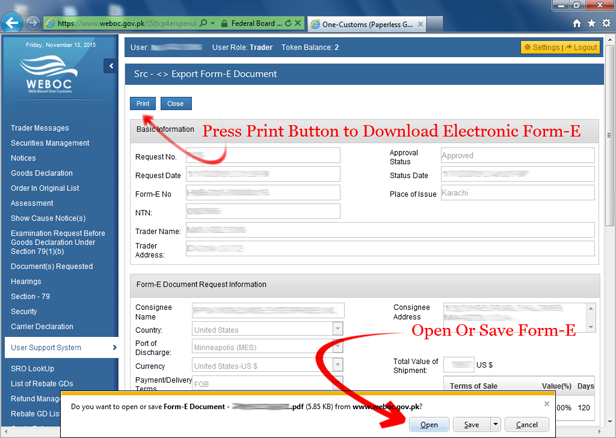 After opening the request, approved form-e details show up in front of the screen, So now click on Print Button.